Home Grammar Formal and Informal Uses of Contractions. ♦ A contraction is a shortened version of a word or a group of words. ♦ Contractions are a result of omitting letters or their sounds between two ( or more ) words. Helps you to avoid ‘over-pronouncing’ the words. I don’t eat meat = I do not eat meat. They aren’t coming to the party = They are not coming to the party. This isn’t your fault = This is not your fault. I won’t tolerate this carelessness = I will not tolerate this carelessness. I’m sorry for the delay = I am sorry for the delay. They’re going to get married = They are going to get married. We’re doing our best = We are doing our best. It’s raining outside = It is raining outside. It’s nothing to do with you = It has nothing to do with you. ∗ Note that, unlike normal contractions, we do not always use apostrophes (‘) with informal contractions when written. My maths teacher is kinda ( = kind of ) strict. Doncha ( = Don’t you ) worry about me, I am fine. Gimme ( = Give me ) some time to finish my work. Lemme ( = Let me ) see what I can do. Do you wanna ( = want a ) drink? Do you wanna ( = want to ) come with us? क्या आप हमारे साथ आना चाहते हैं? Have you gotta ( = got a ) car? 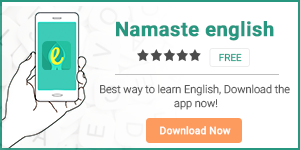 क्या तुम्हारे पास कार है? I gotta ( = got to ) go. They are gonna ( = going to ) get married. Watcha ( = What are you ) up to these days? इन दिनों आप क्या कर रहे हैं? Whatcha ( = What have you ) got in your bag? आपके बैग में क्या है? It’s OK to use contractions in speech as it comes naturally to you, but you should try to avoid them in writing. In a formal writing such as a school report, an official E-mail, or in any such situations, you might wanna steer clear of the use of contractions.